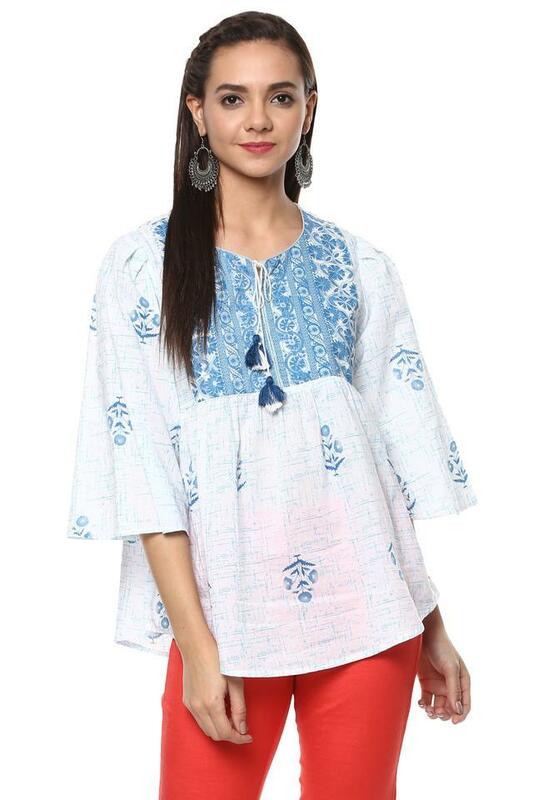 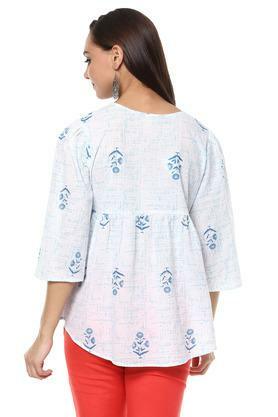 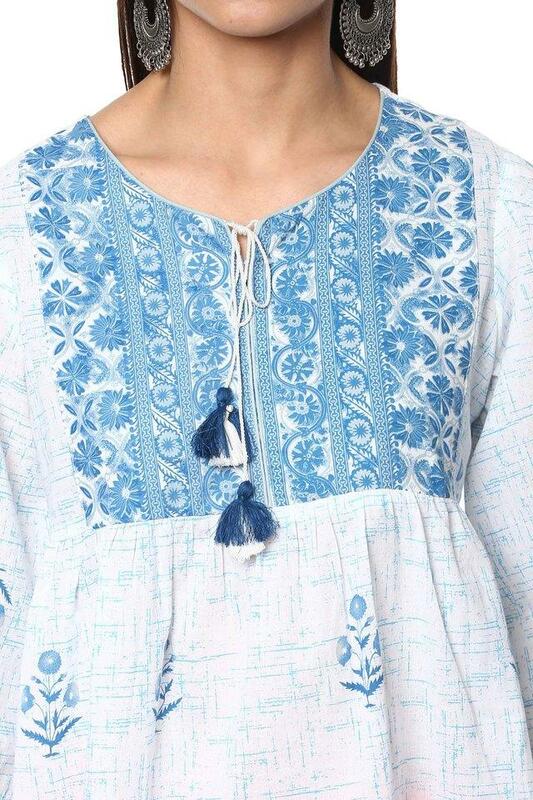 A fusion of comfort and style, let this top from the house of Rangriti redefine your fashion statement. It has been crafted from a premium quality fabric, which will provide a soft touch against your skin. Furthermore, it comes with a tie up neck that further accentuates its design and lends it a touch of style. 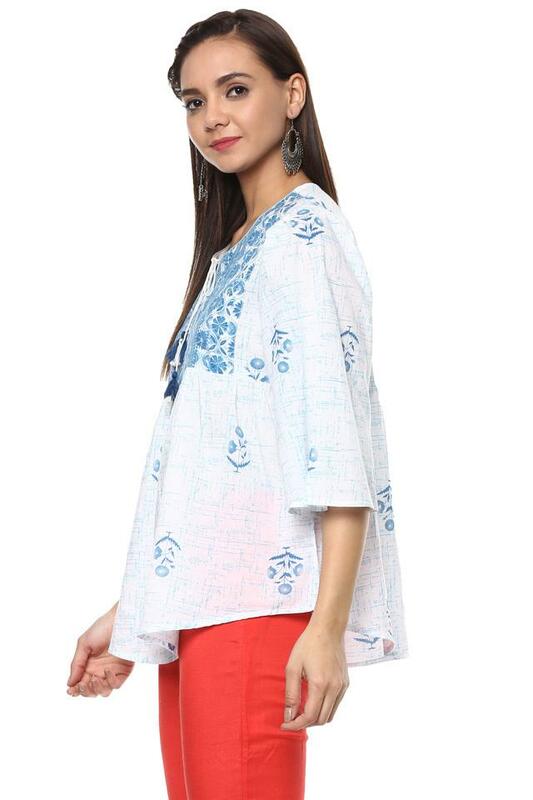 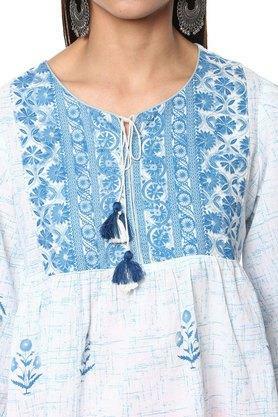 Look impressively beautiful by wearing this top. 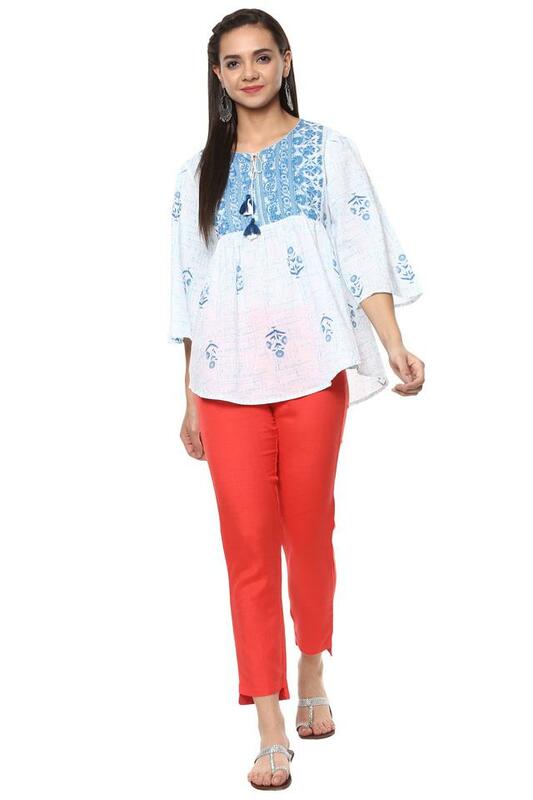 You can team it with a pair of jeans and flat sandals to look flawless in your favourite casual attire. You can also accessorise it with a sling bag.